Big data may know you better than your friends. 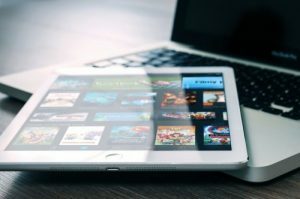 That’s because your watching, reading and listening habits — collected and tracked by content producers and sellers online — probably don’t match what you claim to your inner circle, Eli Broad College of Business associate professor Anjana Susarla wrote in a recent essay. In the era of big data, corporations now have the ability to quantify and act upon that difference. “For decades, advertisers and marketers struggled to predict the consumption of leisure products such as movies and books … today, big data offers new visibility into how people experience entertainment,” Susarla wrote. The Conversation is an independent and nonprofit source of news, analysis, and commentary from academic experts. 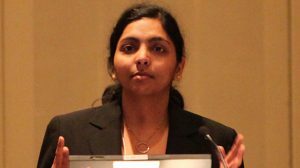 Susarla’s essay has been shared by several more traditional and niche news organizations, including the Associated Press, the San Francisco Chronicle, and seattlepi.com, among others. Economics of the long tail: “The internet makes it possible to distribute entertainment products that are less popular than mainstream successes. Streaming shows can acquire a larger audience than what is economically feasible for distribution through prime-time television. This economic phenomenon is referred to as the long tail effect,” Susarla wrote. For example, Netflix used data from customers’ viewing habits in determining there was a niche audience for “House of Cards,” leading it to pick up the show after it had been rejected by broadcast networks. Social influence in the era of artificial intelligence: “Mining data from social sites like Twitter and Instagram, companies can track in real time what moviegoers think about a given movie, show or song … one study shows that when studios pay attention to social media buzz before a movie’s release, the difference between the predicted revenue and the actual revenue, known as the forecast error, reduced by 31 percent,” Susarla wrote. Susarla’s research interests include empirical work on information systems focusing on contracts and sourcing, cloud computing, social media and big data analytics. Her work has previously been quoted by other news outlets including the Chicago Tribune, Newsweek, Sirius XM, Salon, and Pew Research. Susarla will also appear on a panel titled “Can We Fight Fake News Without Killing The Truth?” at the South by Southwest (SXSW) Festival in Austin, TX on March 11. Read Susarla’s full essay at the Conversation.